3 Steps to Mindfulness in Yoga. In our busy day-to-day lives we rarely have time to reflect on how we are reacting, deflecting, projecting or doing what we do to cope with challenge. 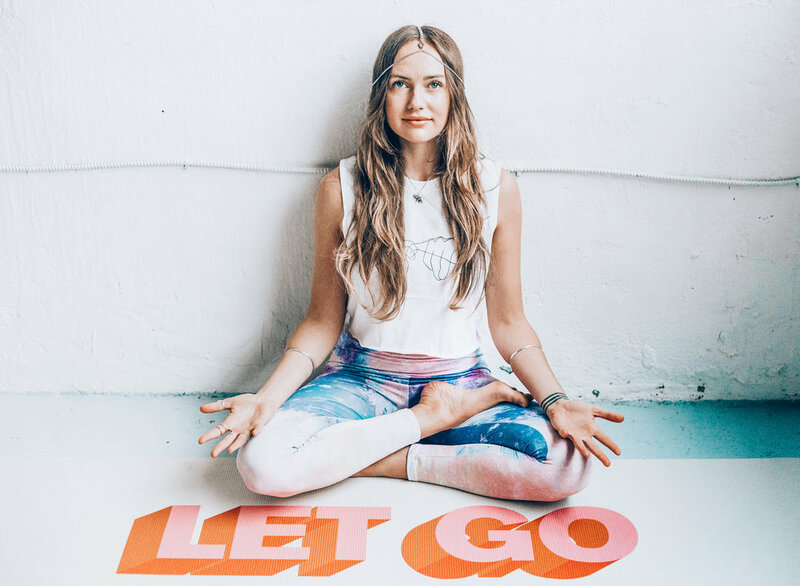 On the other hand, our yoga practice creates a setting that lends itself to becoming more aware, making new choices and firing up the re-programming process so we can experience zen and find calm in the face of challenge on + off the mat! Scenario: I am attempting to do a standing balancing posture that I find difficult. More time is spent falling over than standing up. What do I feel physically? Locked jaw, scrunched eyebrows, shallow or held breath. What is my mental chatter saying? I’m bad at this, everyone can do it but me, I give up. What do I feel emotionally? Frustration, embarrassment, and unworthiness. After recognizing my current state I choose to let it go. I take a conscious, clearing breath in through my nose and sigh it out through my mouth. With this mindful moment I symbolically push the pause button. In this timeless space I’ve created, I make the choice to change. How can I shift my physicality toward ease? I unhinge my jaw, soften my gaze, and deepen my breath. How can I talk to myself the way I would a friend? I tell myself I’m learning a new language, body language, and that no one learns a new language overnight. I encourage myself to be playful and view my falling over as a chance to get back up. I remind myself that it’s not a competition; it’s an opportunity to nurture my personal potential. Now, what do I feel emotionally?